September 19th National Reading Week was celebrated country-wide. 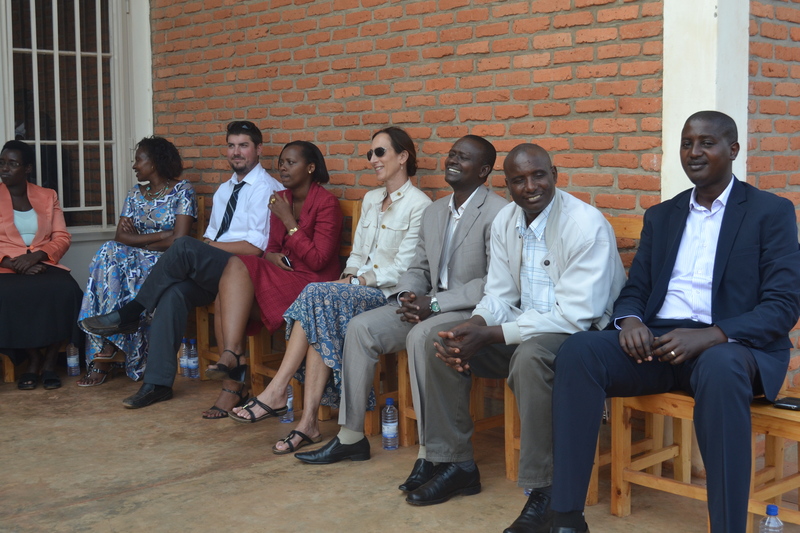 We were honored to have the Permanent Secretary of the Ministry of Sports and Culture, the Mayor of Kayonza District, Executive Director of Rwanda Library Services and other federal and local education officials participate in our celebration. 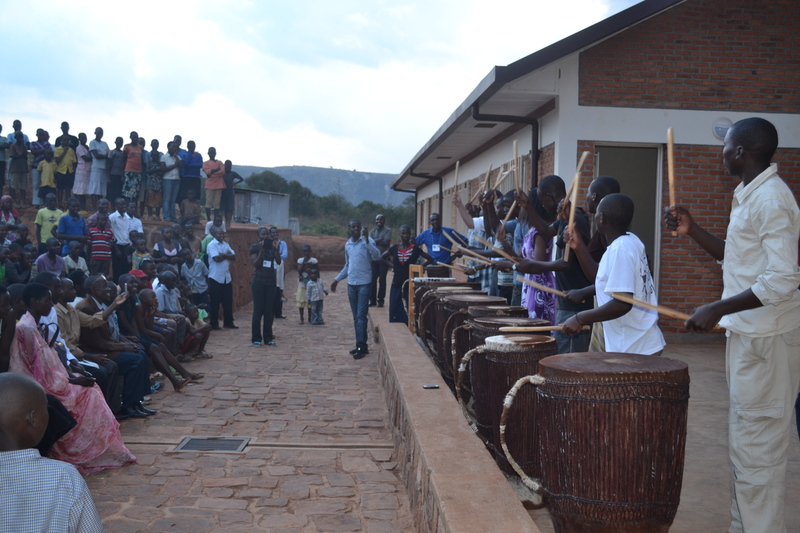 This was a wonderful opportunity for Ready for Reading to showcase what is happening here at the Rwinkwavu Community Library/Learning Center. 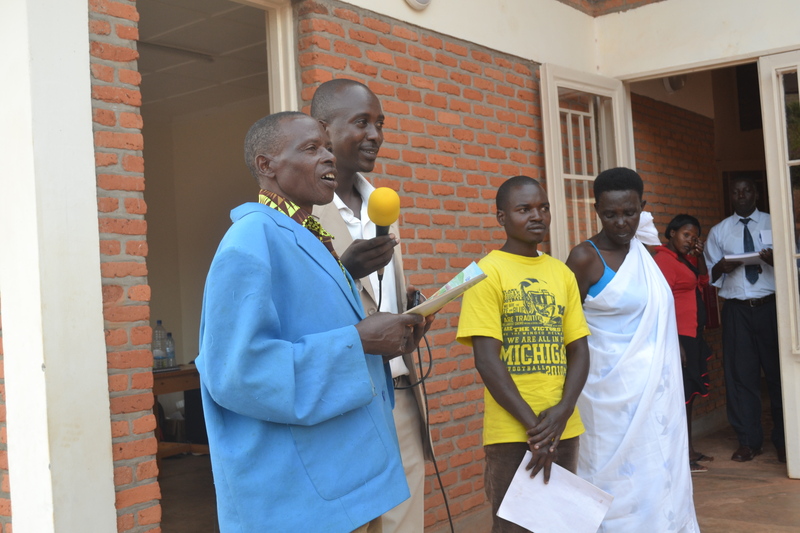 The Permanent Secretary and the Mayor handed out literacy certificates to our first Kinyarwanda Literacy class graduates. 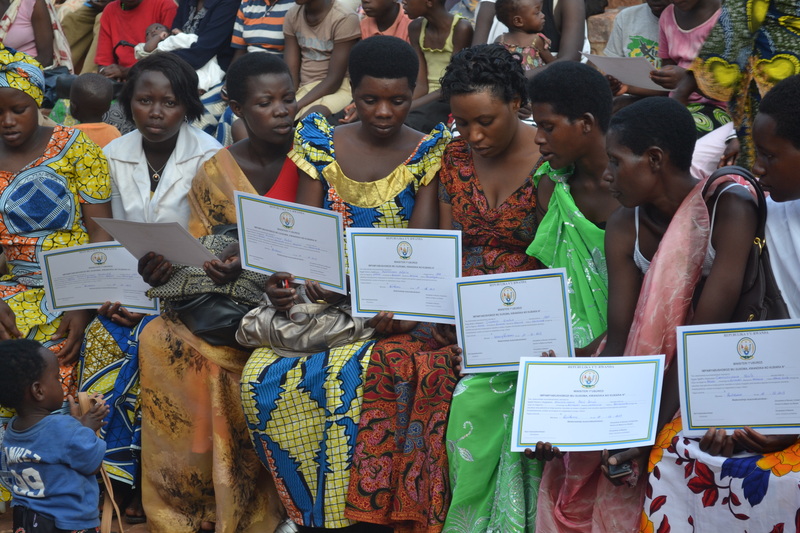 Several gave testimonials to the crowd, telling them how learning to read and right for the first time has changed their lives and that of their families. After the performance and awards ceremony the officials toured the library eager to learn more about our programs and activities. They were amazed by the breadth of our offerings; skills training, literacy, youth development, cultural and social opportunities and promoting a culture of reading, designed to reach people of all ages. They were particularly impressed with our computer (ICT) and e-reader programs. 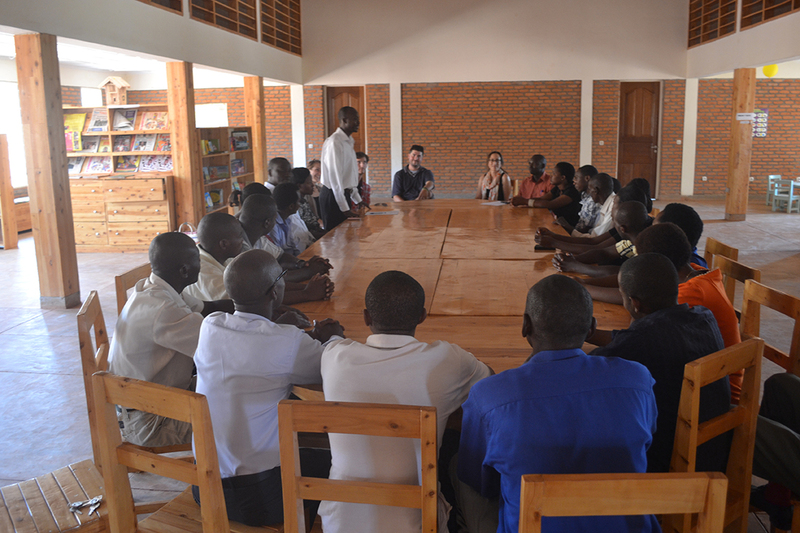 The Rwanda Library Services considers what RfR has implemented here in Rwinkwavu as a country-wide model for community libraries. 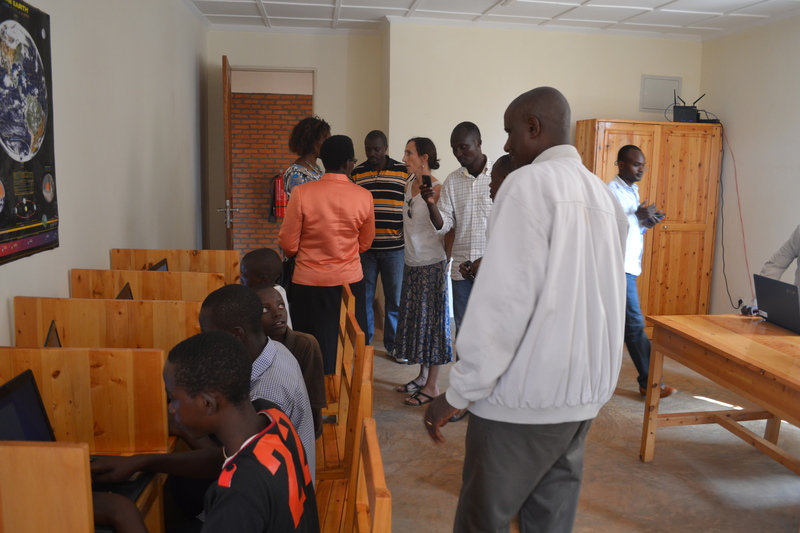 I was only able to spend 2 days of Brad’s entire 8 months in Rwanda on site. After all those months of skypes, emails and photos it was quite something to see all he researched and planned in action! Emotions were running high Monday when I reached Rwink @ 2 pm. I greeted all the staff…they were excited about my arrival after more than a year…but really sad anticipating Brad’s departure. We all sat down for our first all hands on deck staff meeting…really to honor Brad for all his hard work and dedication in putting together the music program. However, his impact doesn’t end there. 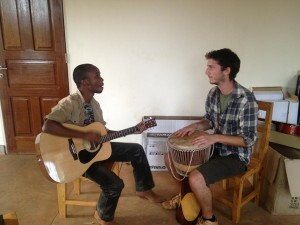 In his 8 months in Rwink, Brad became woven into the fabric of the library and the umudugudu (village). Not only did he develop the music program and all that entailed, but he did English training classes for staff, using his skills in ESL that he honed while teaching in Korea for 2 years. He also volunteered his time for the Sunday School Enrichment Program, becoming an invaluable part of the team. And he simply was Brad. There was always a throng of kids around him and most nights the neighborhood kids followed him home. He involved himself in their lives…talking to parents about the importance of making sure kids went to school….asking kids if they were going to school regularly….inviting them to come for music and drumming class and afterwards directing them to the library for story time. Brad’s physical presence is missed in the community….but his contribution and the legacy he left has been firmly planted and will only continue to grow. I suspect Rwinkwavu hasn’t seen the last of Brad. Not even all the photos and skypes prepared me for what the library would be like now that it’s up and running. I arrived on Sunday evening in Kigali and Matt and Cory greeted me at the airport….a nice welcome to my home away from home. Monday, after stocking up on some provisions we headed to Rwinkwavu. The staff gathered at the entrance to greet me. I was a bit nervous, after over a year I wanted to make sure I could pronounce everyone’s name right. When I made mistakes they laughed and cheered all the same. It was like no time had passed and right away we slipped into a comfortable rhythm. 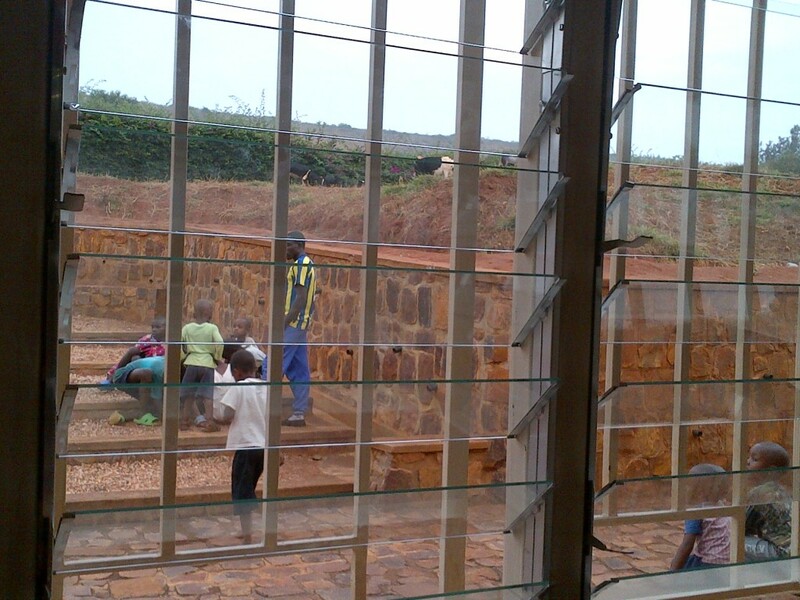 Each morning, as I walked to the library I was accompanied by a gaggle of children from the umudugudu (village). It was such a pleasure to walk into the library and greet everyone and catch up from the day before. Some of my library mascots! !